Well now, this is something different: A “making of” book for a graphic novel. And in tune with the season as well. 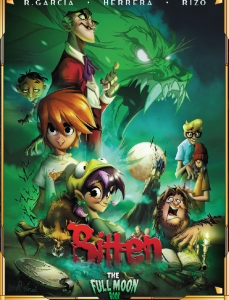 “High school can be tough enough as it is, but things get even more complicated when you’ve been bitten by a werewolf! Bestselling YA author Cornelia Funke (Inkheart) teams up with comic book artist and character designer extraordinaire Francisco Herrera and former Disney Animator and film Director Raul Garcia (The Missing Lynx) to create a wild and furry world where werewolves are real and hiding in plain view, even in high school! This lavishly illustrated sketch book documents the creative process of transforming Funke’s best-selling Young Werewolf into a brand new, exciting graphic novel series. Hundreds of sketches and color studies show the process of fleshing out the characters of the book as we discover the story of Matt, Lisa, and the incredible odds they have to face to battle an old Hollywood curse.” Bitten: The Full Moon Book is coming soon (in limited quantities) from Magnetic Press. 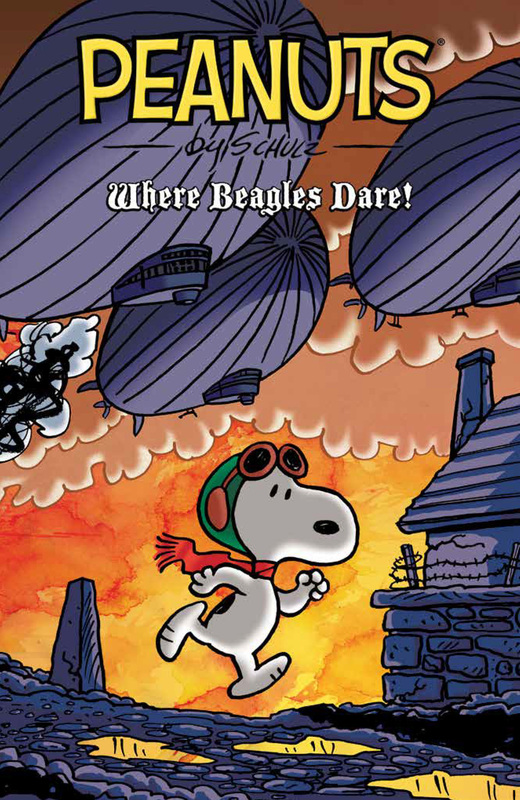 Find out more over at Nerds Unchained. 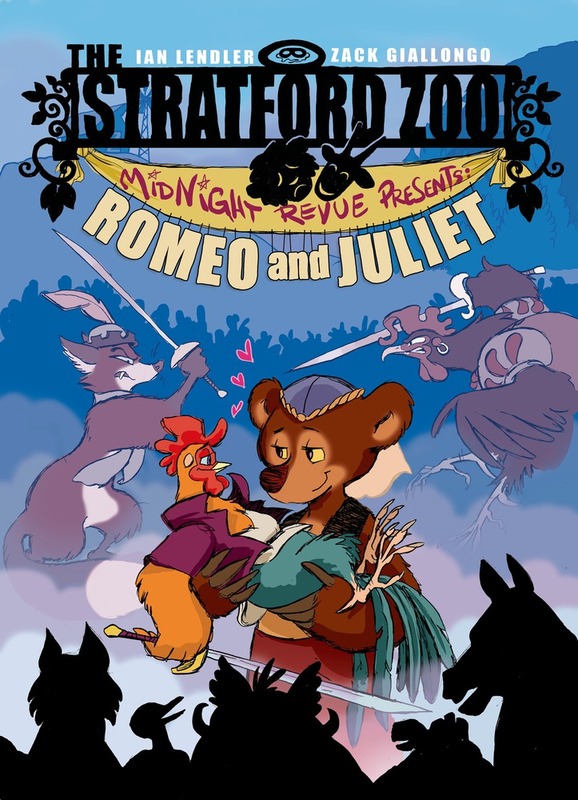 The animals of the Stratford Zoo return with another secret production in The Stratford Zoo Midnight Review Presents: Romeo & Juliet. “The Stratford Zoo looks like a normal zoo . . . until the gates shut at night. That’s when the animals come out of their cages to stage elaborate performances of Shakespeare’s greatest works. They might not be the most accomplished thespians, but they’ve got what counts: Heart. Also fangs, feathers, scales, and tails. Ian Lendler’s hilarious tale of after-hours animal stagecraft is perfectly paired with the adorable, accessible artwork of Zack Giallongo (Broxo, Ewoks) in this side-splitting companion to their graphic novel The Stratford Zoo Midnight Revue Presents Macbeth.” Which we also reviewed, of course. Check out the extensive preview over at publisher MacMillan’s page. Later this month it’s available in hardcover and softcover editions. Once upon a time there was an on-line game in development called Fighting is Magic, attempting to create a “Ready! FIGHT!” style inter-player game based on My Little Pony: Friendship is Magic. Unfortunately, the Powers That Be at Hasbro decided that the game was a little bit too close to the TV show for comfort, and the project was shut down. 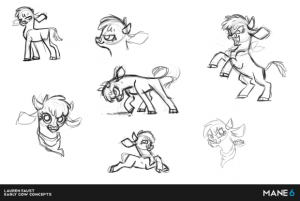 Fast forward a couple of years: Now none other than Lauren Faust, the original show runner for Friendship is Magic, is on board to help with the development of a whole new game — in a whole new world. This is from the Indiegogo campaign: “Help a cast of cute animals beat each other up by making Them’s Fightin’ Herds become a reality! Them’s Fightin’ Herds is a 2D PC (Windows, with Linux/Mac as stretch goals) fighting game with adorable animals in an original universe designed by Lauren Faust (producer and developer for My Little Pony: Friendship is Magic; creator, director and developer for Super Best Friends Forever). It is the spiritual successor to Fighting is Magic, with improved gameplay mechanics and graphics, an entirely new (and awesome!) dynamic music system, a graphic lobby, and a whole bunch of new features.” The Indiegogo page features several preview videos as well as numerous preliminary sketches by Ms. Faust herself. Once again Cartoon Brew provides: This time they have the first teaser trailer for the upcoming Angry Birds Movie, set to hit theaters in May 2016. 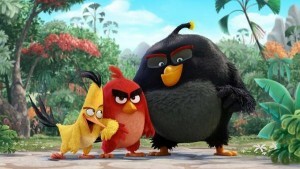 Based of course on Rovio’s mega-hit downloadable game, the film boasts an impressive voice cast: Among them Jason Sudeikis, Josh Gad, Danny McBride, Maya Rudolph, Bill Hader, and Peter Dinklage. “Industry veterans Clay Kaytis and Fergal Reilly, both first-time directors, are helming the project, and Jon Vitti (The Simpsons, The Office, The Larry Sanders Show) wrote the screenplay.” With animation by Sony Imageworks, of course. Kymera Press (home of Pet Noir, which we reviewed recently) has another interesting title in Gates of Midnight. Meet Raven Moon, a decorated combat veteran who’s come home looking for rest and healing after her tour of Afghanistan. 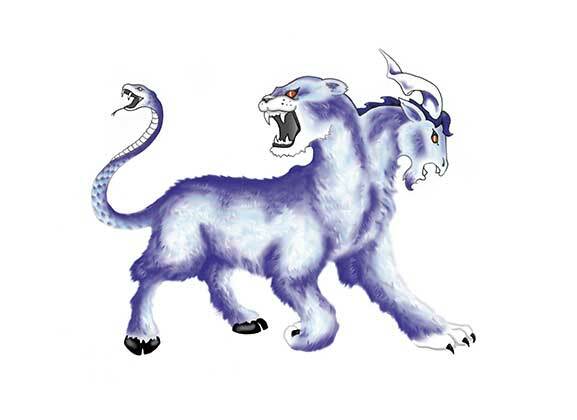 Instead she finds deadly secret and a hidden world of monsters. It seems that her father is not only a New York police officer, he’s also a magical warrior charged with keeping his city safe from monsters as they “gate” through to our world. When he is killed on a monster hunt gone wrong, guess who is next in line to be the warrior? But Raven soon learns there is far, far more to these monsters than she is being told… Written by D. Lynn Smith and illustrated Amelia Woo, Gates of Midnight is up to issue 6. Check it out over at Kymera. 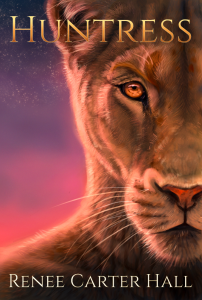 Renee Carter Hall has released a new preview of her upcoming book Huntress. 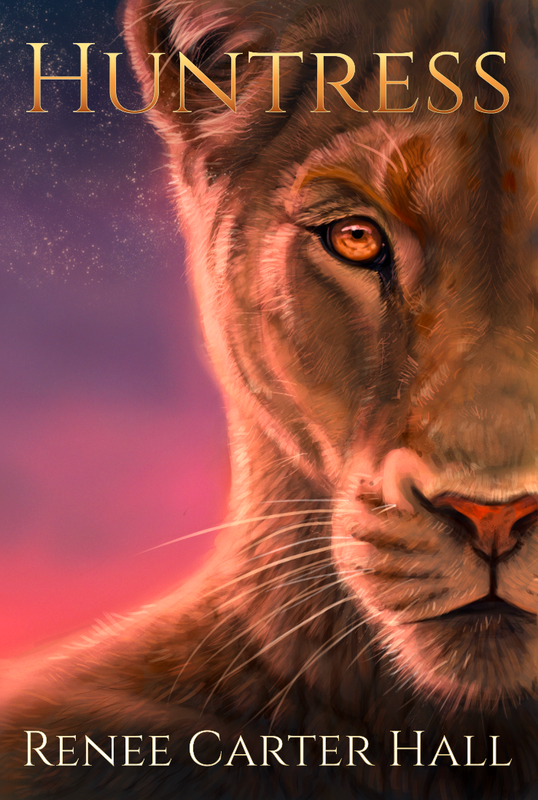 “All her life, the young lioness Leya has dreamed of becoming one of the karanja, the proud huntresses of her people. But there’s more to being karanja than just learning to throw a spear. Life among their tents means giving up family, safety — even love. How much is Leya willing to sacrifice for a place in the sisterhood? Does she truly have the heart of a huntress? Author Renee Carter Hall takes readers into the veld for this coming-of-age anthropomorphic fantasy for teens and adults. This edition includes the novella “Huntress” (nominated for the 2014 Ursa Major Awards and Coyotl Awards), as well as three brand-new short stories set in the same world.” The e-book version is available to order now, and can be downloaded beginning September 20th. The print version will be released at the RainFurrest convention, with online orders from FurPlanet shipping in October. 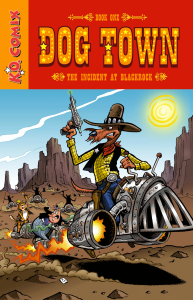 Dog Town is a new black & white science fiction/western comic written and illustrated by Brent Otey. “Our story starts when the town rabbit gets kidnapped in the middle of a cat raid. Then an overly positive pig gets involved, not to mention a big, bad wolf. 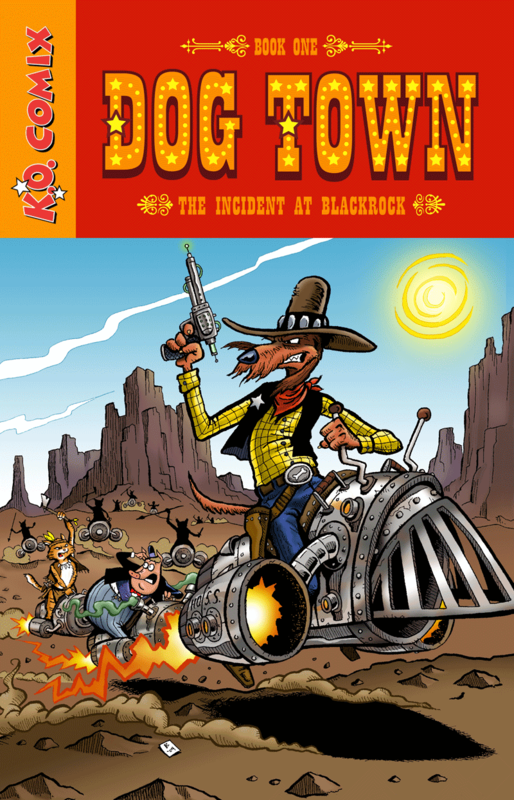 Before long there is a whole heap of trouble for the sheriff of this dog town to sort out. But then again, no one ever said it would be easy to keep the law in a world devastated by a cataclysm that has left the earth charred, mankind dead, and a group of tree-worshiping woodland creatures in charge.” Got all that? Published by K.O. 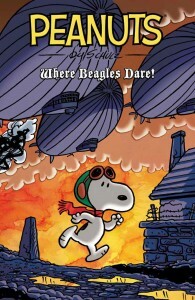 Comix, Dog Town is available at Lulu.com. You can check out their update blog too.